This week’s WineGuyMike Radio Show winners are; Sara Carlson and Karin Chimo, WineGuyMike and Scott and Paula on The Ranch Fans. On the show this week we are going to talk about some very special wine. I had the pleasure of being invited to a very special wine tasting yesterday with a handful of local restaurateurs. The wine flight of six wines being presented were from Italy, or Tuscany to be slightly more accurate. 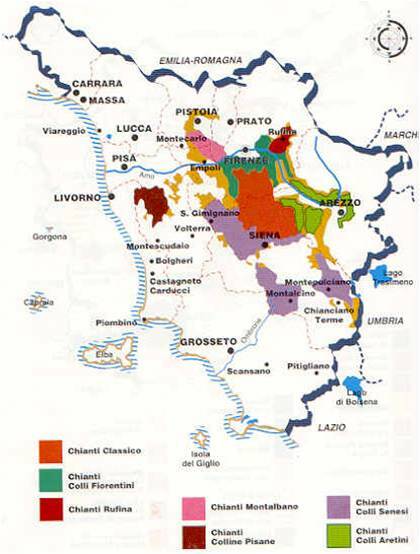 We are not talking about Super Tuscan Wines today but about some Super Chianti’s from the very first purveyor of Chianti in the world. 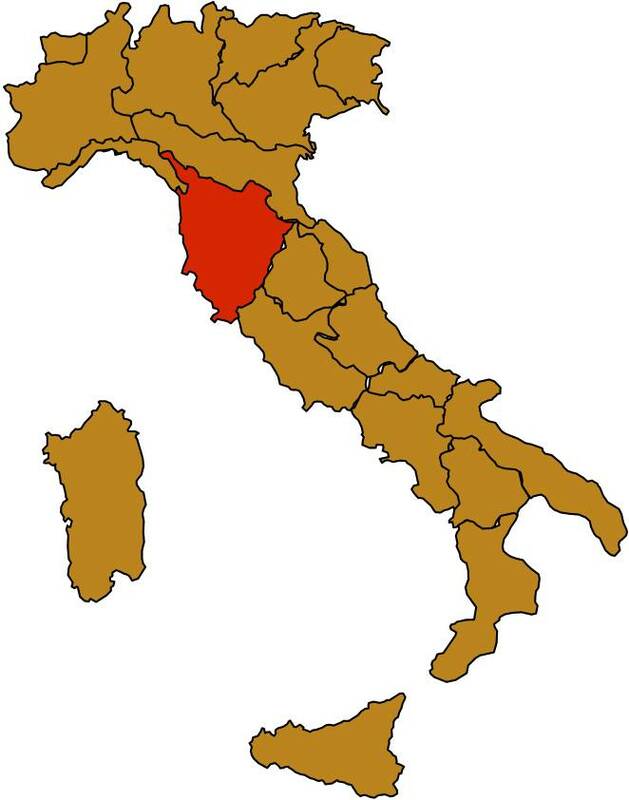 I’m talking today about the Mazzei Winery, their family, and their wine properties in the Chianti Classico Region of Tuscany. Yesterday’s flight was the Castello Di Fonterutoli label, all Chianti Classico’s from the 2006 Vintage. 3.Other red grapes: up to 20% Canaiolo, Colorino, Cabernet, Merlot. 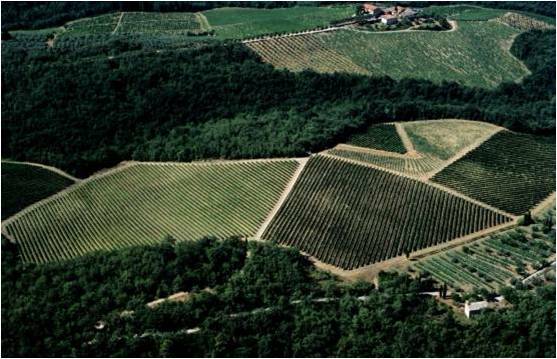 Five main vineyard sites on five different “terroirs”…. 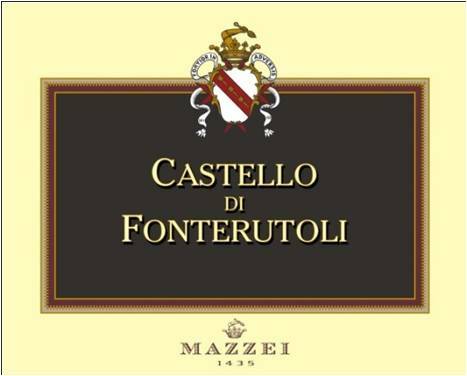 Castello di Fonterutoli Five main vineyard sites on five different “terroirs”…. …. further divided into 120 different parcels …. …. grown with 41 different biotypes of grapes…. 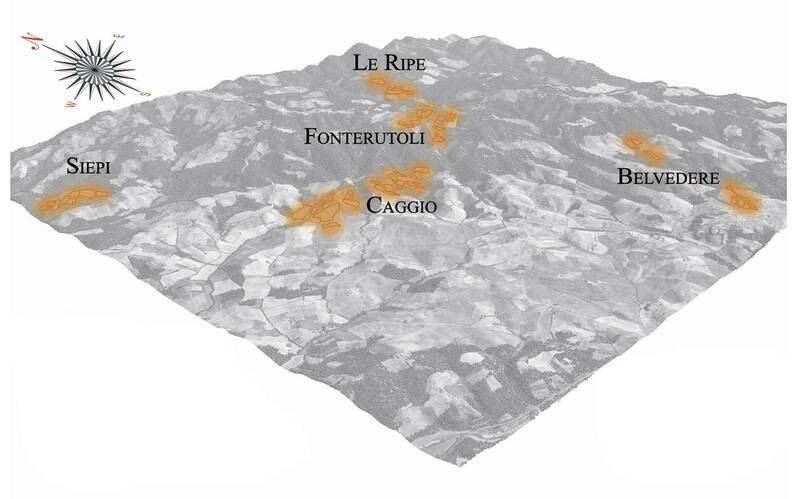 The “terroir” : Located at the heart of the estate, the temperature gradient between day and night is less significant than in the Siepi vineyard. 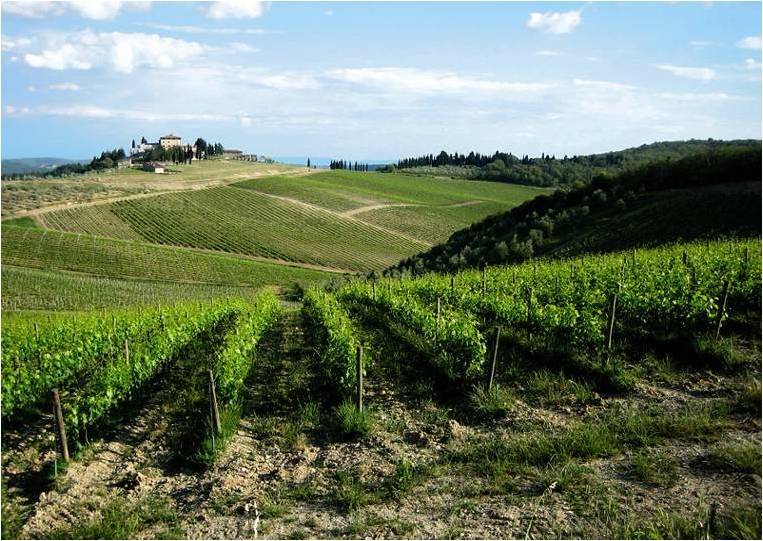 The parcel’s warmer temperature and the soil’s mainly loamy composition PRODUCE WINES WITH MORE PRONOUNCED TANNINS. 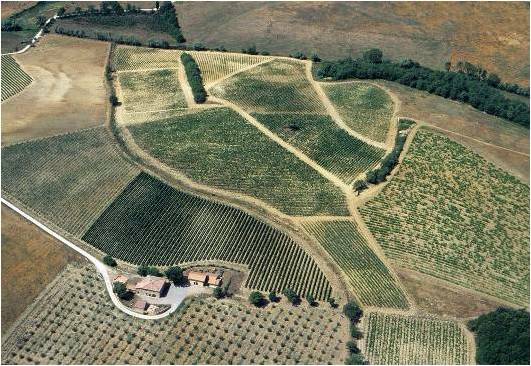 The “terroir” : Planted with very high density in a very arid environment, the vineyard benefits from an emergency drip irrigation system which supports the production of WINES WITH A LEANER BODY BUT OF GREAT ELEGANCE. This wine is a stunning composition of strikingly diverse Sangiovese’s notes, some of which are exclusively found on our estate, and have rarely been tasted before. Deep and impenetrable ruby red. Incredibly layered, it opens up with subtle hints of fresh spices (black pepper) that develop into perfumes of fresh red fruits (red currant), followed by more intense dark ripe fruits (plum). The symphony of flavors is concluded by notes of forest undergrowth and an earthy, musky finale. The wine’s different tactile sensations are very harmoniously balanced. Very enjoyable from its release, this wine will continue to develop and refine its character for many years to come. Castello Di Fonterutoli Chianti Classico 2006, WineGuyMike " A wine for the Ages"
This Chianti Classico wine flight receives The WineGuyMike® Seal of Approval. Salute. 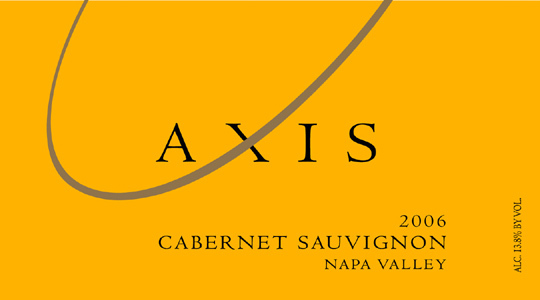 Crafted principally from prized Napa Valley fruit, Axis Cabernet Sauvignon Napa Valley includes an array of popular, food-friendly characteristics that please even the most discriminating palate. The epitome of what a Napa Valley Cabernet Sauvignon should be. Richly complex with black fruit and hints of spicy oak, cedar and mint, this wine delivers a balanced intensity and complexity to the palate. A drinking pleasure today, it will also be pure delight in years to come. California’s Napa Valley has been a source of world-class Cabernet Sauvignon for well over a century. 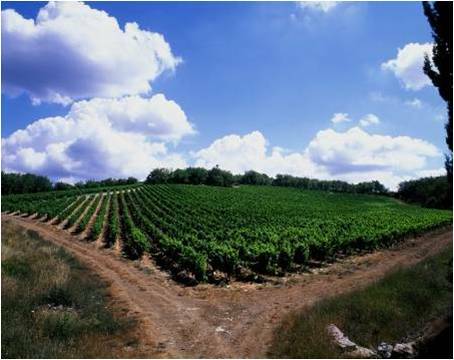 It’s warm climate and varied terrain allows for many styles of wine. One thread that runs through almost all the Cabernet based wines from Napa is their lush, ripe full-bodied feel and rich flavors of currant and berry. Wines from the valley floor, particularly around Rutherford are famed for a dusty quality, and those coming from the hillsides surrounding the valley, Mt. Veeder, Diamond Mountain and Howell Mountain for example, tend to be a little leaner with more obvious structural elements. Thanks to its magnificent diversity of exposure, climate and soil, Napa has become an ideal home for Cabernet Sauvignon. Grapes from Southwest Napa Valley vineyards cooled by the San Pablo breezes lend firm structure and grip to this wine, while grapes from warmer Northern Valley vineyards express richness and dark fruit flavors. Cold soak maceration prior to fermentation. The wine is aged in a combination of new and old French oak barrels for up to two years. Following blending, a portion of the wine is racked back into French oak barrels to attain additional oak notes. Bouquet: Rich and intense nose of blackberry with subtle notes of black tea, cassis, toasted almond and tobacco accented by dried tomato, plum and leather. Flavor: Full body, silky. long finish, supple mouth feel with a strong after taste of marmalade. Pasta with rich red meat sauces, wild game, Filet Mignon, New York strip steak, and aged cheeses. Serves 8 – For a real treat, try this dish with Rice Pilaf or Wild Rice with Mushrooms. Spray a large nonstick skillet with vegetable oil spray. Heat over medium-high heat. Sprinkle meat with pepper. Cook meat until well browned, on all sides, 8 to 10 minutes, turning often. Add onion and garlic and cook until onion is translucent, 2 to 3 minutes. Add broth, wine, and soy sauce and heat to boiling. Reduce heat and simmer, covered, for 1 ½ hours, or until meat it tender. Put cornstarch in a cup or small bowls. Add water, stirring to dissolve. Slowly pour mixture into skillet, stirring constantly. Increase heat to medium-high. Cook until gravy thickens, 2 to 3 minutes, stirring constantly. 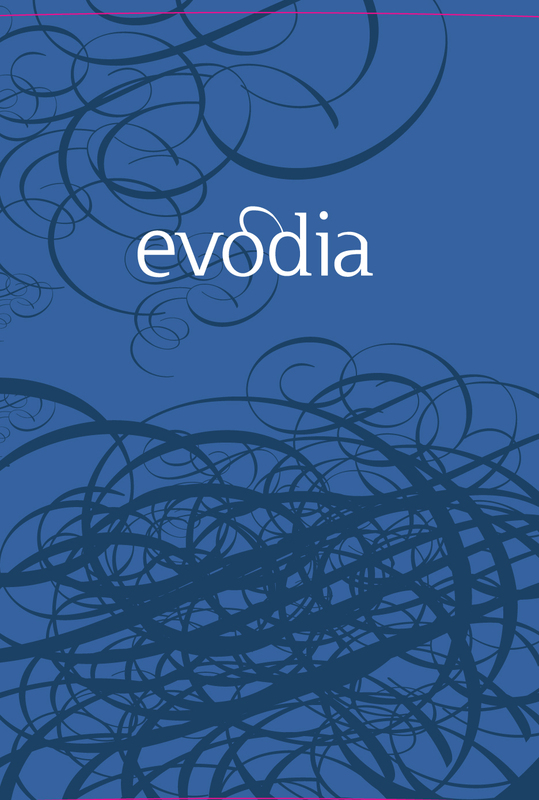 WineGuyMike recommends this wine and recipe pairing, "From My Table to Yours"
2007 Evodia Granacha $10.90 WineGuyMike calls this "a terrific budget minded wine"
These vineyards were ferreted out by the amazingly talented team behind Altovinum – Eric Solomon, Jean Marc Lafage and Yolanda Diaz. Yolanda Diaz, a native of Calatayud, has an intimate knowledge of the DO and its terroir – her relationships in the region are an invaluable asset to the project. The winemaking is placed in the capable hands of dynamic enologist, Jean Marc Lafage – a man Robert Parker called “irrepressible.” Jean Marc consults on projects worldwide and owns one of the Roussillon’s visionary wineries, Domaine Lafage. And finally, Eric Solomon, a self appointed Grenache practitioner – through his import company, European Cellars, he represents the finest Grenache producers in the world including the Chateauneuf-du-Papes from Domaine de la Janasse and Domain du Marcoux as well as in the Priorat, including Clos Erasmus (which he co-owns with his wife, Daphne Glorian). These wines have achieved the loftiest of accolades including perfect scores (100 points) from Robert Parker. 1. Trim fat from meat. If necessary, cut roast to fit into 3 1/2 or 4-quart crockery cooker. In a large skillet brown roast on all sides in hot oil. Meanwhile, in a small bowl combine water, gingersnaps, vinegar, bouillon granules, and red pepper. Place sweet potatoes, carrots, and by leaf in cooker. Place meat on top of vegetables. Pour gingersnap mixture over meat. 2. Cover and cook on low-heat setting for 10 to 12 hours or high-heat setting for 5 to 6 hours. 3. Transfer meat and vegetables to a platter. Remove bay leaf. Skim fat from gravy. Stir gravy to combine; ladle over roast and vegetables. For a 5 or 6-quart crockery cooker: Use one 2 1/2 – 3-pound beef chuck pot roast. Increase the sweet potatoes to 4 medium and carrots to 4 medium, sliced. Prepare meat and vegetables as above. Makes 8 servings. Round out the meal with dark rye bread and a salad. This week’s winner is; Jo Jorgenson thanks for your question to WineGuyMike™. This week’s question from WineGuyMike was; is there any real difference between a Blush Wine and a Rose? Jo this is a great question and the answer is yes and no, how is that for a commitment. Let’s start off with a little bit of history. In the early 1970’s there was a huge shortage of white grapes for wine making purposes. Winemakers were using red grapes to make white wine. They were incorporating a wine making method called Saignee otherwise known as bleeding of the vats. As an analogy think about when you make gravy how the fat and the actual dripping from the meat separate. This also happens in the wine vat, there is a separation of the heavy red must or juice from the light. A winemaker will bleed the light juice out of the vat and in this case in the early 1970’s make a white wine. 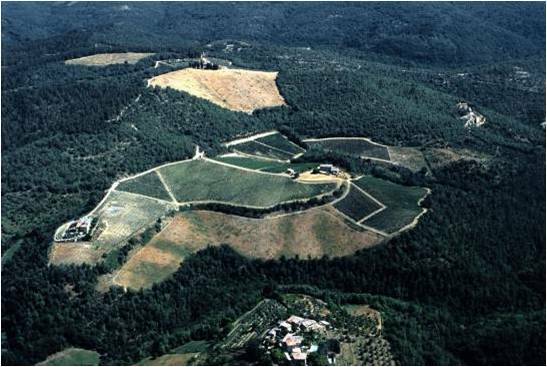 In 1976 a wine writer named Jerry Mead visited a winery, Mill Creek Vineyards, in Sonoma California. Charlie Kreck of Mill Creek Vineyards had been one of the first to plant Cabernet Sauvignon grapes in California. Charlie offered Mead a glass of pale pink wine that had no name, but he was not about to call it a “White Cabernet” as it was deeper in color that white wines made from red grapes at the time. The wine was not as dark as the Rose wines from that time period. After drinking this pink wine Mead referred to it in a joking manner as “Cabernet Blush”. By night time Mead phoned Kreck and let him know in no uncertain terms that he was very serious about the name he had coined for this pink wine. In 1978 Kreck tradmarked the word “Blush” and it caught on as a name used by Sutter Home, and Beringer. It was a marketing name that became the “Top of Mind” reference for pink semi-sweet wine. This wine term is generally relegated for wines from the United States but is used by a few wines from Italy and Australia. The term “Blush” Wine originally referred to a pale-pink wine it now is reserved for a sweet pink wine with a residual sugar of 2.5%. In America most dry pink wines are marketed and sold as a Rose. In Europe all pink wine is refered to as “Rose”, regardless of residual sugar levels, even imports from America that are semi-sweet. I mentioned earlier in this discussion one of the ways a Rose is made by the Saignee method, but there are still two more. One is the traditional method of winemaking by which the grapes are left with their skins, in this case just a few days. This method produces wines of a delicate color, pale-pink. The grapes only left for a few days with their skins do not express much in the way of tannin that is found in Red Wines. This wine as a result drinks just like a white wine and is about as food and cheese friendly as a wine can get. The second method is accomplished by adding red wine to a white until the desired color is achieved. This method is generally not acceptable in most regions around the world. Rose’s historically were noted to be delicate, dry wine exemplified by Anjou Rose from the Loire Valley. The trend is now to use bigger Rhone style Reds like a Syrah, or a Grenache, and Carignan. Rose sales in France now are greater than White Wine. Winemaker’s from around the world are now making Rose’s rather than leave their red wines sitting in barrels left unsold. 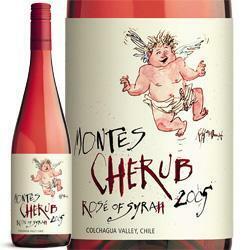 This week’s WineGuyMike™ wine recommendation; Montes Cherub Rose of Syrah 2009 – After several years of experimentation, Aurelio Montes settled on producing a rosé from Syrah, a grape he made famous in Chile with the country’s first-ever Ultra Premium 100% Syrah called Montes’ Folly in 2002. WineGuyMike wants to remind you about the flight of wines that we tasted from The Grizzly Liquor Wine Club at The Keep last week. Aromas of honeysuckle, asian pear, cut grass, and orange blossom. The palate is broad and lush, reflecting the ripeness of the vintage, with flavors of honey and lemon zest over a balancing core of acidity. This wine marries the finesse of Chenin Blanc (75%) with the elegance and structure of Chardonnay (25%). This complex wine displays delicious floral notes, as well as exotic fruit and vanilla. It brings seafood and chicken dishes to perfection. 2009 – Dark ruby-colored, a beautiful bouquet of fragrant cherry blossom and cassis. This wine comes to life once it hits the palate with plenty of juicy fruit, this wine has solid structure, is great to drink and offers the consumer very good value. Pairings: Complements beef or pork roasts and seasonal cheeses well. 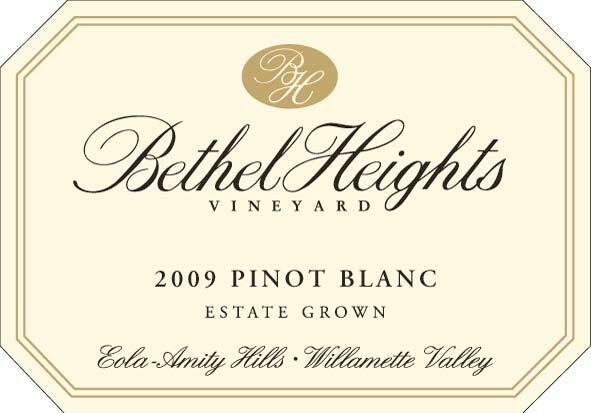 Bethel Heights&apos; estate vineyard has been certified sustainable by both LIVE and Salmon Safe since 1999. Serves: 4 ¼ pound chicken and ¼ cup salsa per person – The Fresh Fruit Salsa can be made up to twenty-four hours in advance and stored in a tightly covered container in the refrigerator. For the best flavor, bring it to room temperature before serving it with the chicken. Preheat broiler. In a medium bowl, combine all ingredients except chicken breasts. Set aside. Rinse chicken and pat dry. Place chicken on grill or on an unheated broiler rack. Grill or broil 4 to 5 inches from the heat about 5 minutes or until lightly browned. Turn and grill or broil about 5 minutes more, or until chicken is tender and no longer pink. Serve with fruit salsa. If fresh fruit is not available, use canned and drained apricots or peaches canned in fruit juice. Prepare recipe as above except cut chicken into bite-size pieces. Bake, uncovered, in a preheated 400 degree F oven about 5 minutes or until tender and no longer pink. We have a great line up of wines and appetizers to share with you, come out and join us for an evening of fun and cheer. The tasting is out on the deck at The Keep. 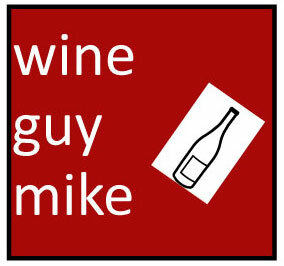 This weeks winners are; Janel McCormick and Marine Watson Johnson, thanks for sharing your choices with WineGuyMike™. This week’s question from WineGuyMike was; Which wine do you think will be your favorite choice from the wine tasting flight that is being presented at the wine tasting tomorrow night? Janel McCormick thinks she will like the Bethel Heights Pinot Blanc and Marine Watson Johnson thinks she will like the Axis Cabernet Sauvignon. This week’s WineGuyMike™ Radio Show© Topic; The Wine Tasting Flight for tomorrow night’s wine tasting at The Keep. WineGuyMike wants to share this flight of wines with you that we will be tasting tomorrow evening. Let’s take a look at this list and then we’ll learn about each one of the wines. I would also like to add something about our show sponsor, Grizzly Liquor. I really appreciate as a consumer the fact that Wine Manager for Grizzly Liquor, Aspen, knows her wines and focus’ on wines of good value. The wine selection at Grizzly Liquor has many great wines for under $12.00 a bottle and as a consumer I appreciate that. Pinot blanc (known in Italy as Pinot bianco), like Pinot gris, is a genetic mutation of Pinot noir. Pinot blanc has been cultivated throughout Northern Europe for centuries, where it thrives under the same growing conditions as Pinot noir. It was first planted in Oregon in 1967, but there are still fewer than 200 acres in production here, and only about a dozen Oregon wineries produce Pinot blanc wine. Pinot blanc grown in Oregon has the richness and texture of a good coolclimate Chardonnay without the oak. Our 2009 Pinot Blanc has a touch of residual sugar to balance the bright acidity of the wine, and a solid core of fruit. This balance of brightness and depth of flavor allows the wine to match up extremely well with many Asian preparations including pulled pork and even Korean ribs, which often have applesauce as an ingredient. Thai dishes that have some heat balanced with coconut milk work very well with this Pinot blanc. If your dish has both spice and richness, there is a good chance Pinot blanc will work with great results. A real advantage to Pinot blanc is that it can pair with mussels and many oyster dishes, yet work just as well with scallops, shrimp and steamer clams. 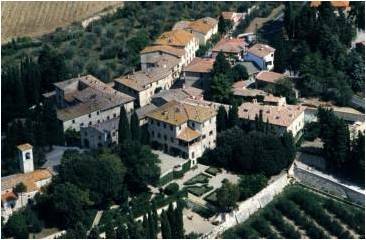 The Tariquet story; Since 1912 Château du Tariquet has been home to the Grassa family. They first gained notoriety for Hélène and Pierre Grassa’s Armagnac, which is still produced today. In the 1980’s their children, Maïté and Yves, broke all the rules by producing their first still wines, a blend of Ugni Blanc and Colombard. 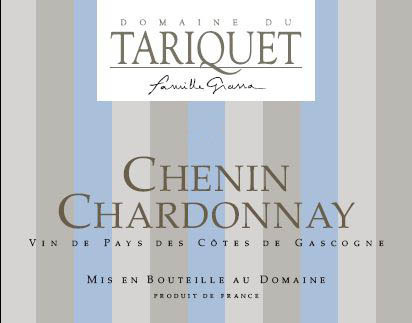 A few years later, they heavily planted and created untraditional blends such as Sauvignon-Chardonnay and Chenin-Chardonnay and word of mouth is how the Tariquet taste and fashion was born! The first of many awards received by Yves and his family include a Gold Medal in Montpellier and “Winemaker of the Year” by the International Wine Challenge in London. Wine production is strictly controlled within the Domaine from viticulture to bottling and adheres to sustainable agriculture. To prevent oxidation the grapes are taken directly from the vines to the vats in isothermal tanks. 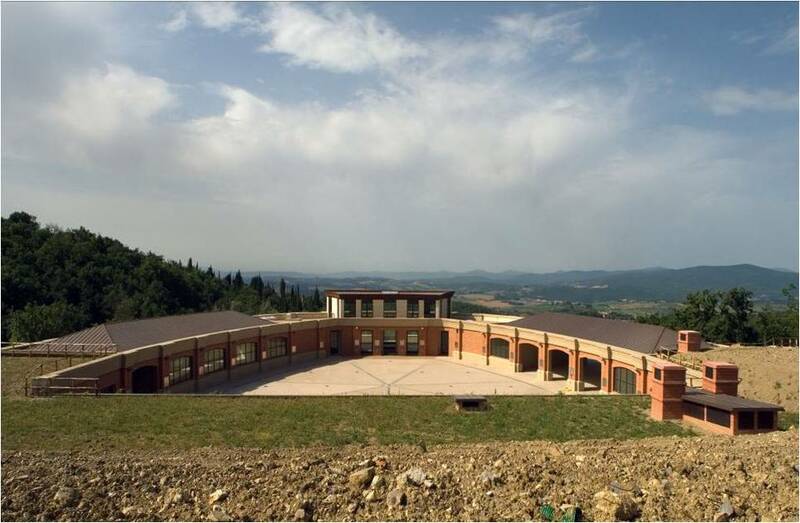 The estate features a water treatment facility and they recycle and reuse all materials. The innovative “bottling to order” at Domaine du Tariquet guarantees consistent quality and freshness. 2007 – Bright aromas of raspberry and blackberry and a mild nuance of cracked pepper. Juicy and smooth with spicy red and dark berry flavors and a slight mineral quality. Easy to drink, great value, with a good finish with a slightly spicy finish. Cold soak maceration prior to fermentation . The wine is aged in a combination of new and old French oak barrels for up to two years. 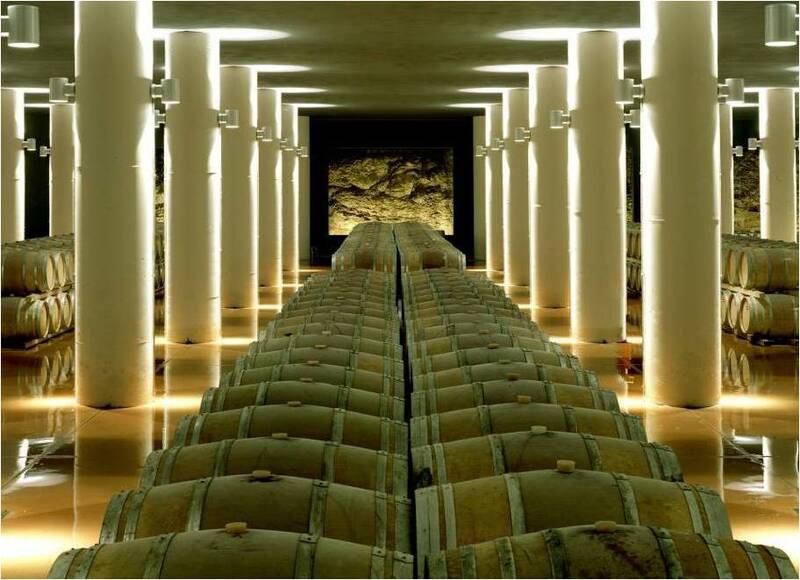 Following blending, a portion of the wine is racked back into French oak barrels to attain additional oak notes. Berry and jam on the nose. Full-bodied, with very refined tannins and ripe fruit. This wine is very well structured with nicely refined tannins and a long delicious finish. So delicious now but will you can lay this wine down to enjoy in the next 3 years. WineGuyMike, "From My Table to Yours"